After my father was pronounced dead at 3:18am on Monday, March 23, the Government declared a week of national mourning. 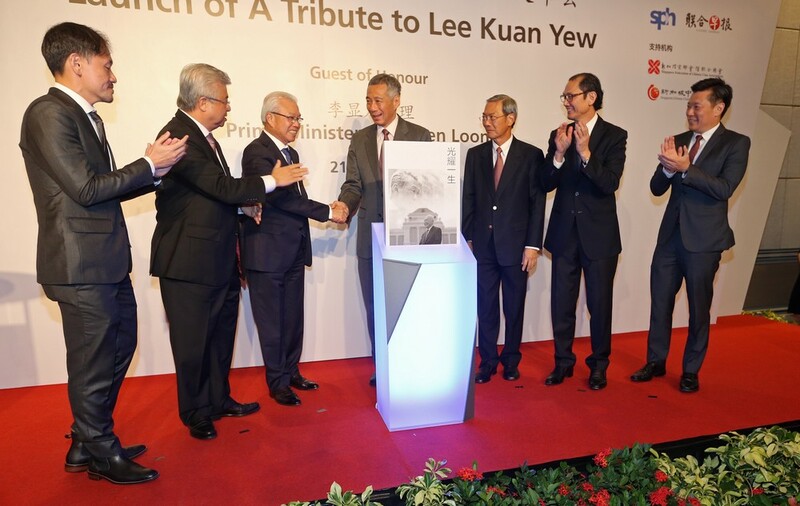 On the first two days, a private wake was held at the Prime Minister's official residence at Sri Temasek, inside the Istana grounds. I turned up to greet relatives, doctors, friends and security officers (SOs) who had served Papa but left his team before he died. 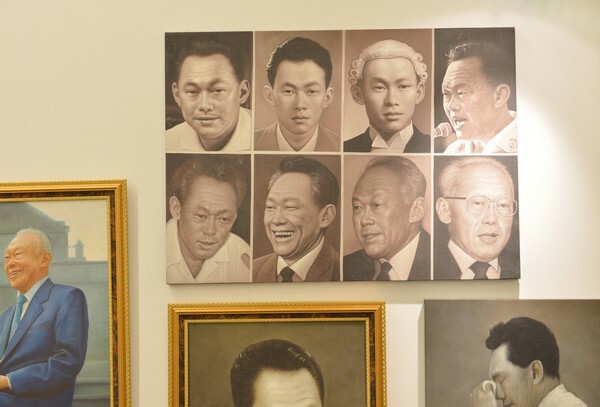 That Wednesday, the casket was carried on a gun carriage through the Istana grounds, where Papa had spent so much of his time at work and for exercise. Papa had been extremely ill since Feb 5, suffering severe breathing problems. 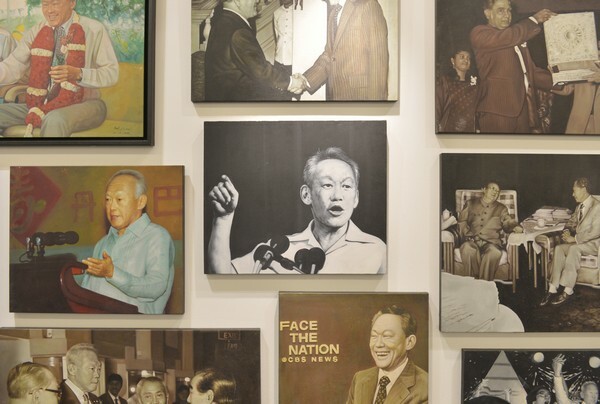 I had slept poorly since then and, while waiting for the procession to leave Sri Temasek, I could not stand the physical strain any further and went home, where I stayed until the day of the funeral, held that Sunday. 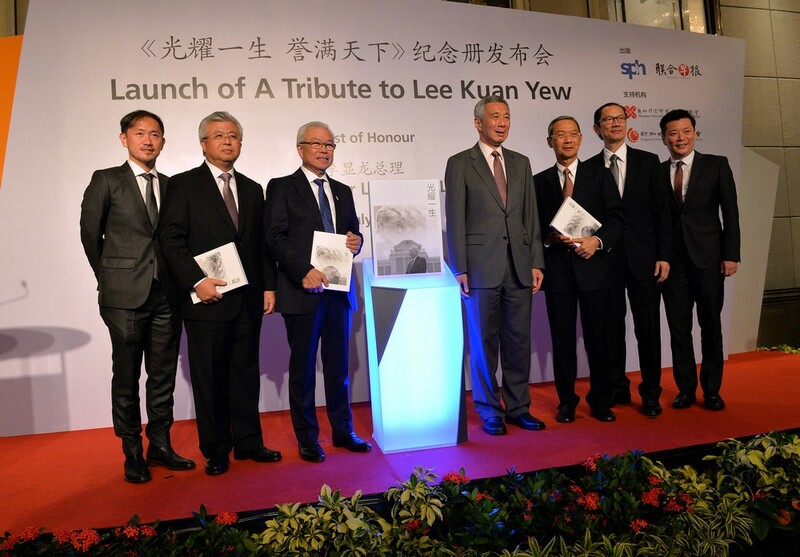 I was spared from delivering a eulogy at the official funeral service, held at the University Cultural Centre (UCC) along Kent Ridge Crescent, off Clementi Road. Perhaps that was why the eulogy I gave at the private funeral at the Mandai crematorium attracted attention. I had not intended to deliver one because my father, when he was alive, replied "no need" when I asked whether he wished his children to each give a eulogy. 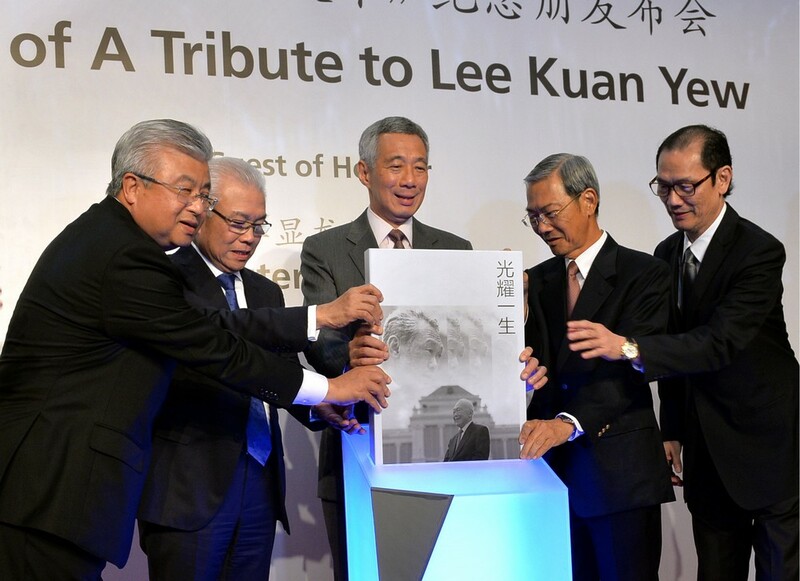 I did so at the request of my elder brother, Hsien Loong. As only I, among my siblings, knew how hard the SOs and doctors had worked to make Papa's last years and especially the last seven weeks comfortable, I dedicated most of my eulogy to them, especially the SOs who made it possible for Papa to spend most of his last five years at home. 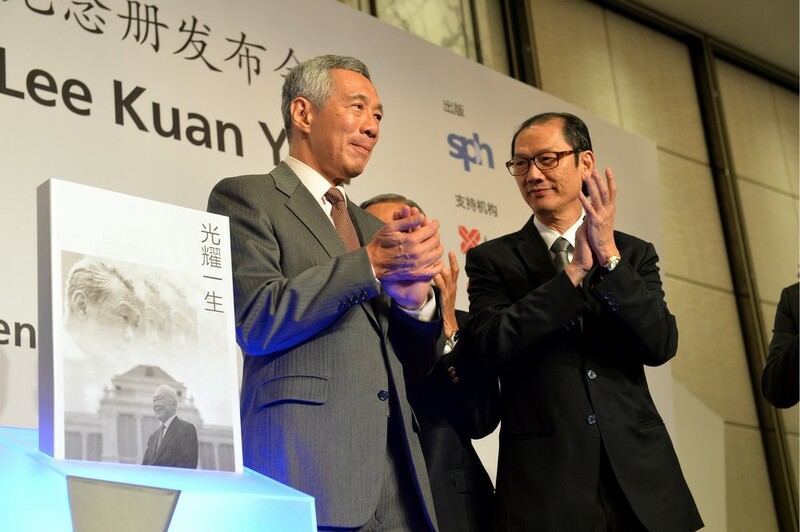 PM Lee launches Zaobao's commemorative book "A Tribute to Lee Kuan Yew"
PM Lee Hsien Loong at the Launch of A Tribute to Lee Kuan Yew. 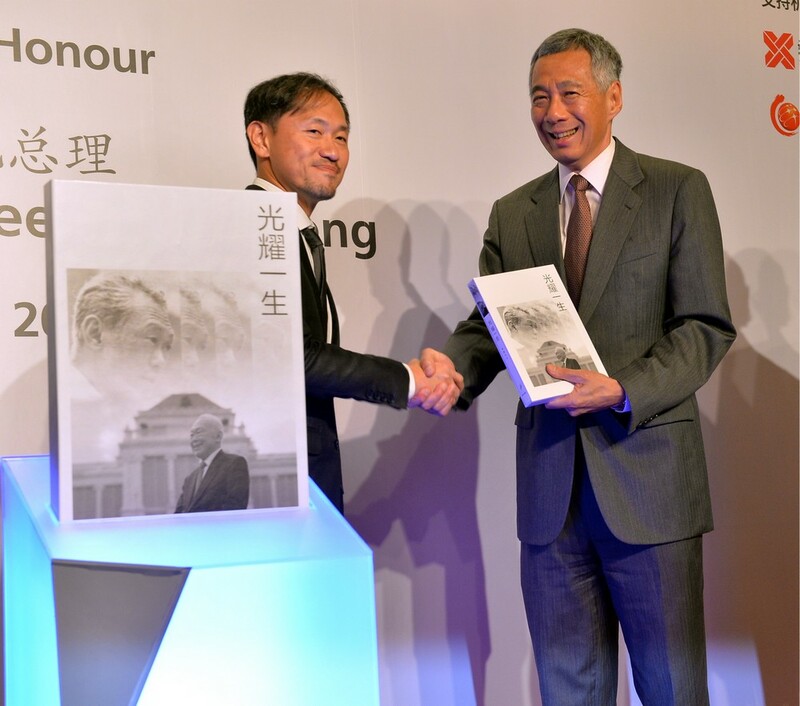 The book documents Mr Lee's life, his ideas and contributions to Singapores nation-building. 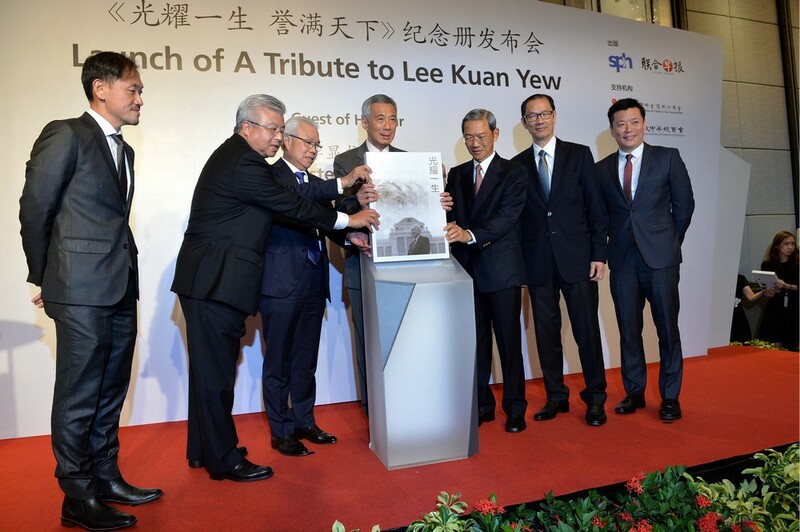 (L-R) Anthony Tan (Executive Vice-President, SPH Chinese Media Group), Thomas Chua (President, Singapore Chinese Chamber of Commerce and Industry), Chua Thian Poh (President, Singapore Federation of Chinese Clan Associations), PM Lee Hsien Loong, Lee Boon Yang (Chairman, SPH), Seow Choke Meng (Business Consultant, SPH Chinese Media Group and Times Properties), Goh SIn Teck (Editor, Lianhe Zaobao), launches the book by Lianhe Zaobao: A Tribute to Lee Kuan Yew, a book to commemorate the life and legacy of the founding Prime Minister of Singapore, at the Shangri-La Hotel on Tue July 21, 2015. The SOs and I were like soldiers who fought a war together - a special bond was forged that continues even now, when we do not meet daily. After Papa's death, I received e-mail and snail mail from many people I didn't know. One, a woman named Candy, e-mailed me daily. She said I had cured her when she was a child. I cannot remember, but would reply once a week. One day, she e-mailed me a Facebook link with 378 comments about my eulogy. I read all of them because total strangers had bothered to respond to me, to wish me well, and some prayed for me. What struck me was the number of posts responding to the penultimate paragraph of my eulogy, which read: "I nearly broke down, but I won't break down. I am a Hakka woman." Many said they were Hakka too, and obviously knew what I meant by my remark - that Hakka women are known for being resilient and tough. Quite a few said they were proud to be Hakka women. Even more posts urged me to allow myself to express my emotion and my tears, saying it would be good for my health and help me recover emotionally. Many expressed astonishment and even alarm that I did not cry. As I had written in my earlier columns, I grew up in an undemonstrative family. I was also imbued with Chinese culture from a very young age. I spent 14 years, from the age of three, in a Chinese educational environment. Many of my school teachers originated from China. In Chinese culture, especially Confucianism, the ideal cultured person does not make a show of emotions. We rarely, if ever, hug or kiss a friend when we meet. In English, praise is accepted with a "thank you" but, in Chinese, we reply "guojiang", which means "excessive praise", instead. In my eulogy, I used the Chinese aphorism, "the relationship between two honourable people is as understated as plain water". This too is a concept that most English-educated people might find hard to understand. Thus, my nature and my Chinese education tempered me from displaying my feelings in public. I have my way of dealing with loss. Exercise, and re-reading articles in The Straits Times and Sunday Times relating to Papa's death, helped me through the worst period.The residual ache remains. One post was spot on. It read: "Dear Dr Wei Ling, you have been caring for both of them. Every daily task will remind you of the emptiness. Memories will bring tears. Cry whenever you want to." Yes, every morning when I awoke, assuming I had been able to sleep through to at least 6am, my first thought was to check on Papa in his bedroom, then retrieve the nightly log of Papa's condition -a notebook- from his study, where two SOs were standing by. 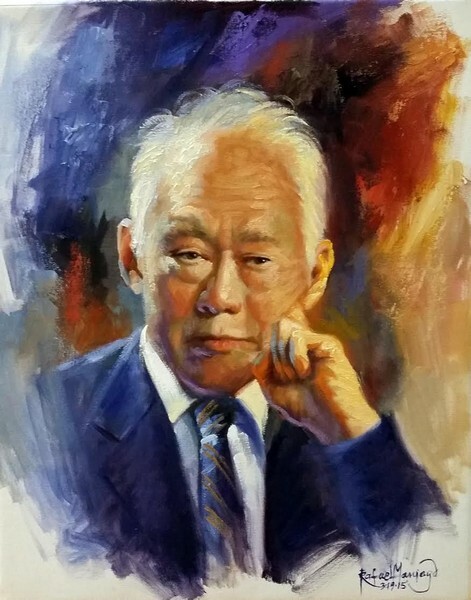 An oil painting of Mr Lee Kuan Yew by local artist Ong Hui Har. 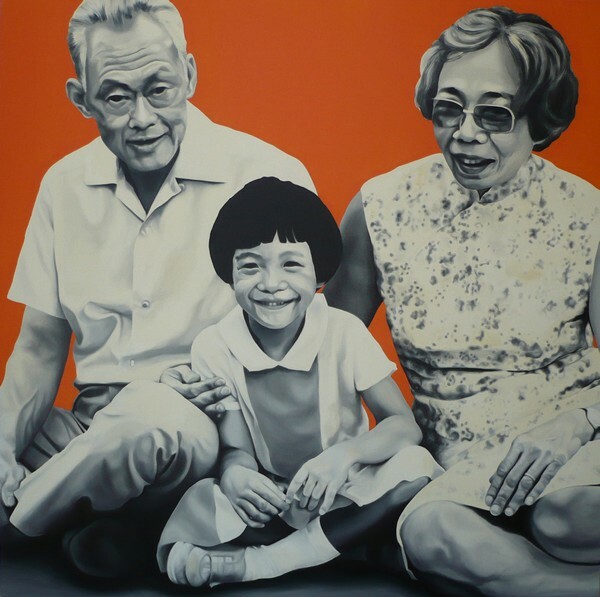 This painting is by the same artist and is based on a file photo showing Mr and Mrs Lee with their grand-daughter, Li Xiuqi. 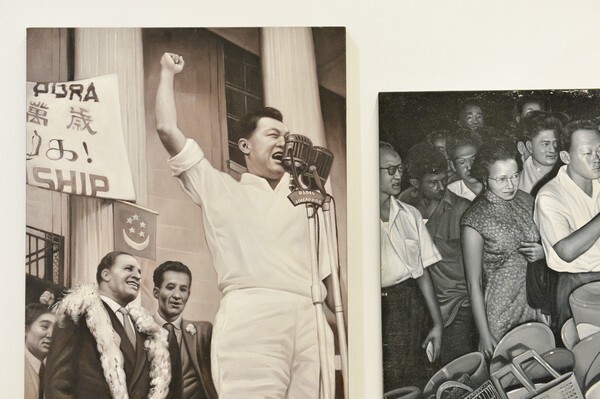 Singaporean artist Jimmy Ong’s three watercolours titled Papa Can You Hear Me. 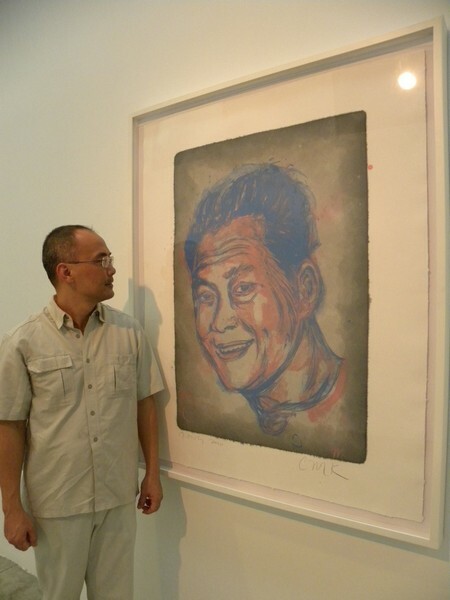 Artist Jimmy Ong at the Singapore Tyler Print Institute with his artwork titled CMK, which depicts a young Mr Lee Kuan Yew. 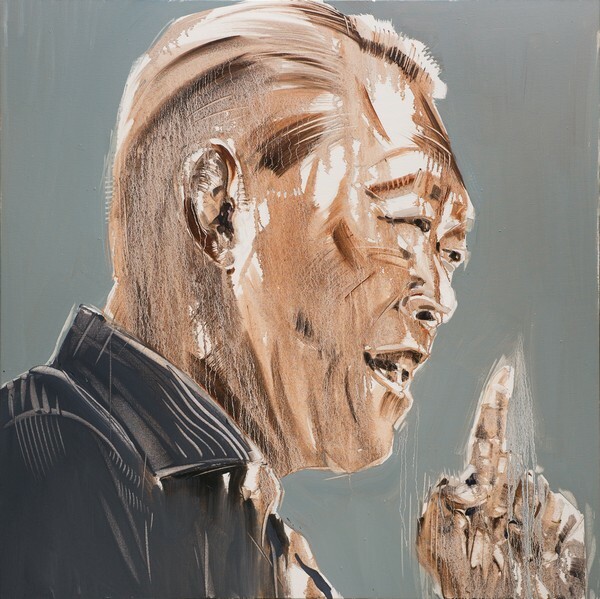 Boo Sze Yang's oil on canvas work The Father IX. 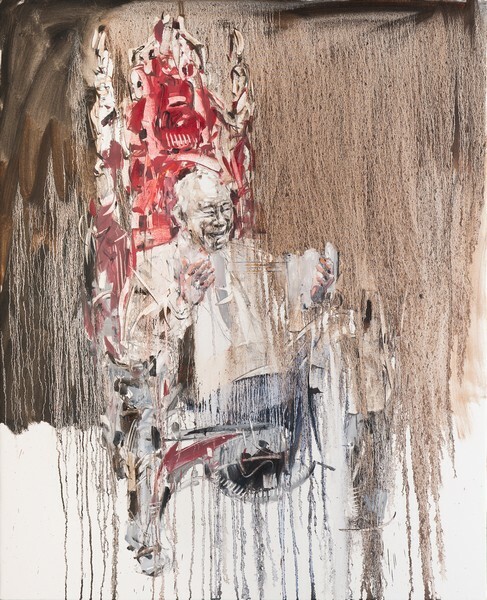 The Father XIV, also by Boo Sze Yang. 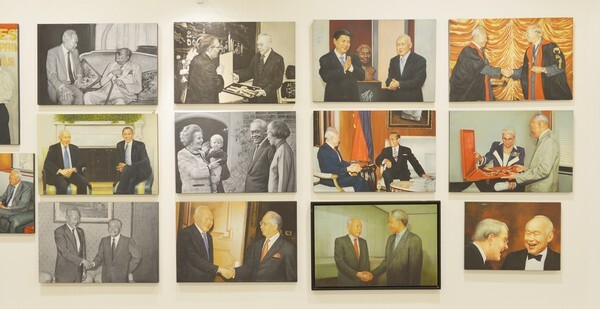 The Father VII, which depicts Mr Lee Kuan Yew throughout the years. 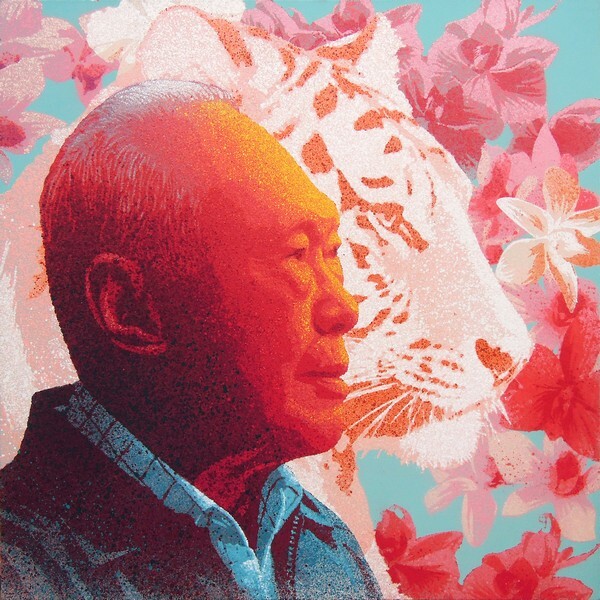 Lee Kuan Yew Tiger Asia 02, an acrylic on canvas by Russian street artist Vitaly Rusakov. 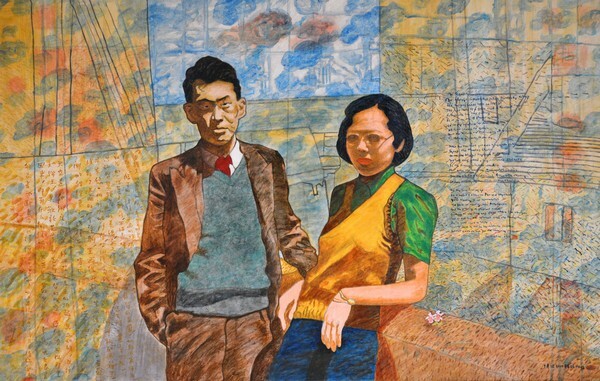 Local artist Tan Swie Hian's painting, A Couple. 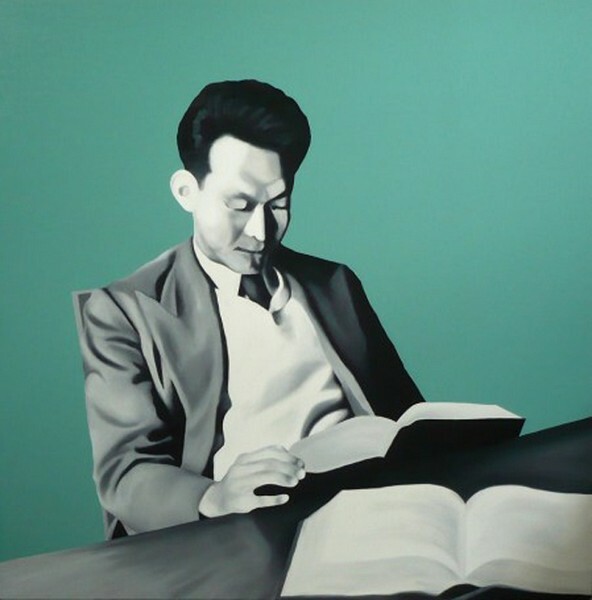 It was inspired from a photo showing a young Mr and Mrs Lee Kuan Yew posing in Cambridge University in 1946. 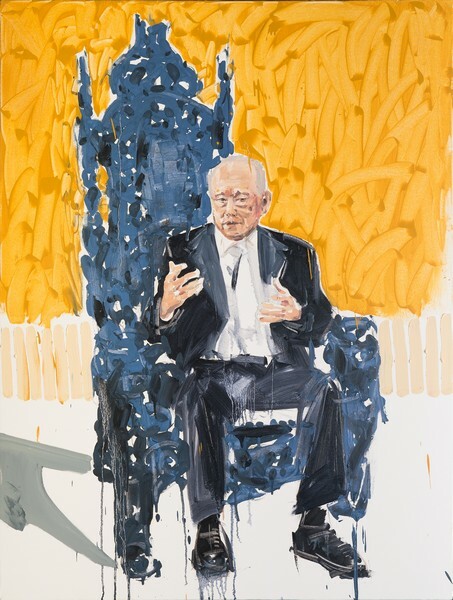 Portrait of Mr Lee Kuan Yew painted by Chinese artist Ren Zhen Yu. 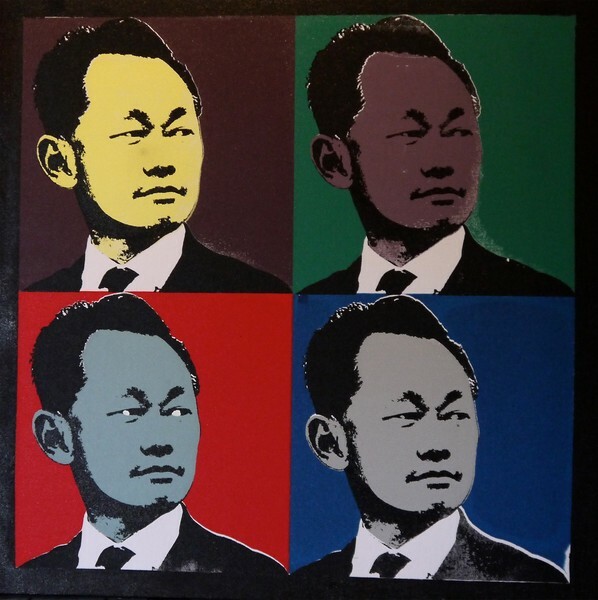 This artwork is by local artist Sukeshi Sondhi - titled Singapore Icon: LKY Quartet 1 - and uses an image of Mr Lee from the 1960s depicted in various bright colours. 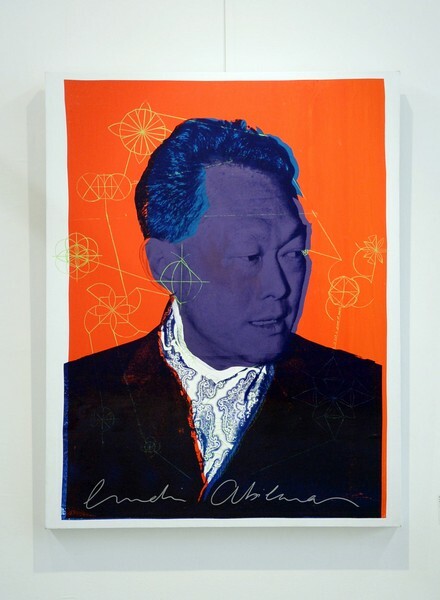 Portrait of Mr Lee Kuan Yew painted by Korean artist Park Seung Mo. 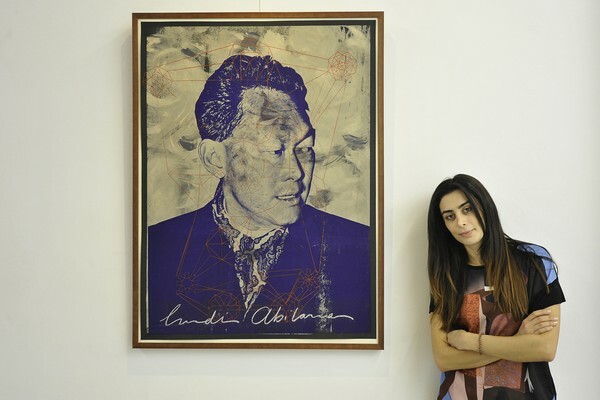 Lebanese artist Laudi Abilama at the Sana Gallery. 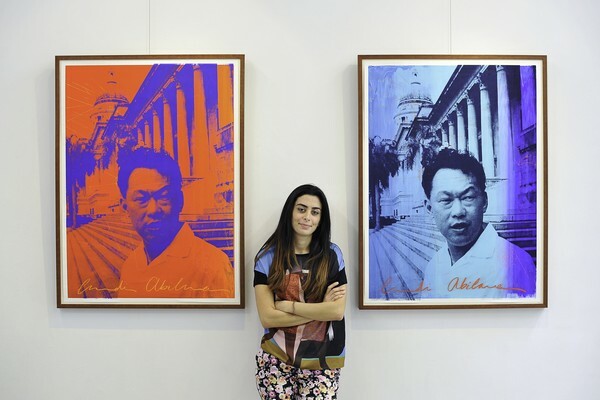 She will showcase screen paintings derived from press photographs of Mr Lee Kuan Yew over the years. 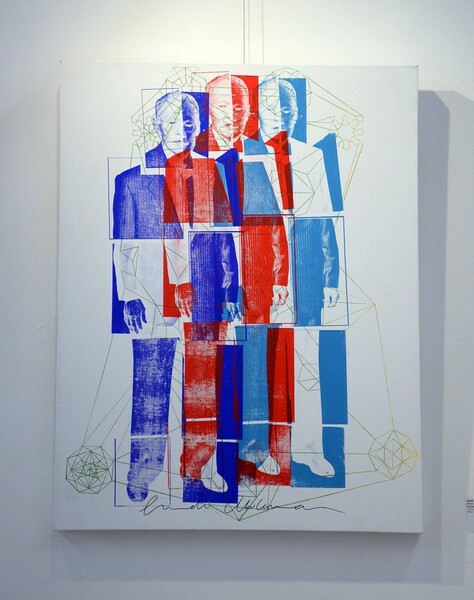 Laudi Abilama with another of the screen paintings of Mr Lee Kuan Yew at Sana Gallery. 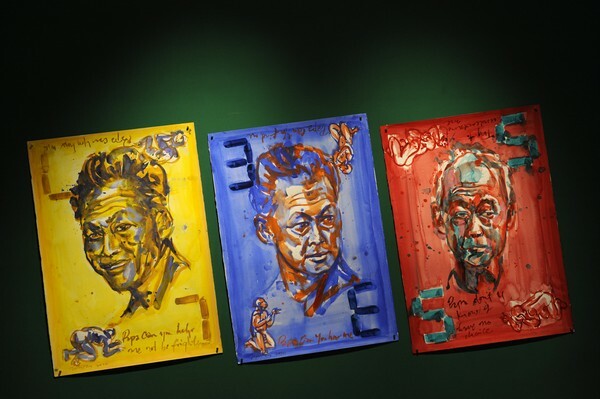 Laudi Abilama's artpieces of Mr Lee Kuan Yew, which are artistic commentaries on how he has worked closely within a multicultural society. 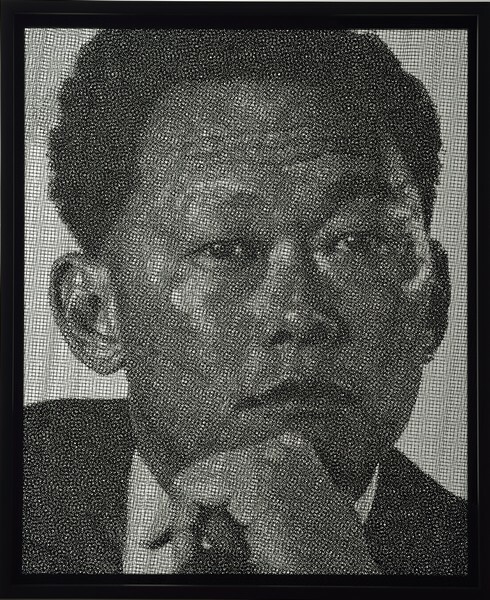 Another of Laudi Abilama's artpieces of Mr Lee Kuan Yew, which is an artistic commentary on how he has worked closely within a multicultural society. 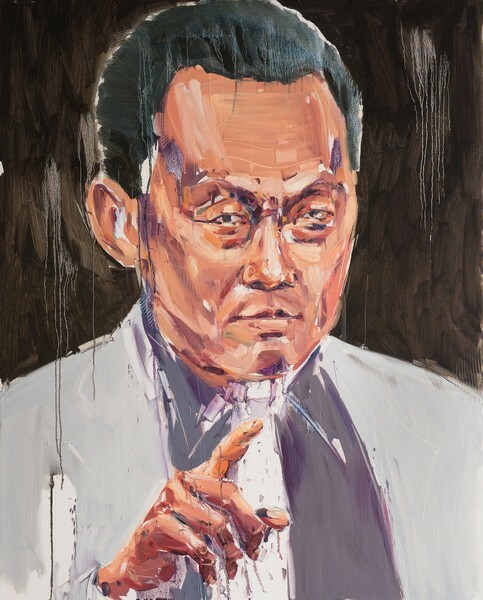 Artist Fan Shao Hua's painting of Mr Lee Kuan Yew. Another painting by American artist Rafael Maniago. 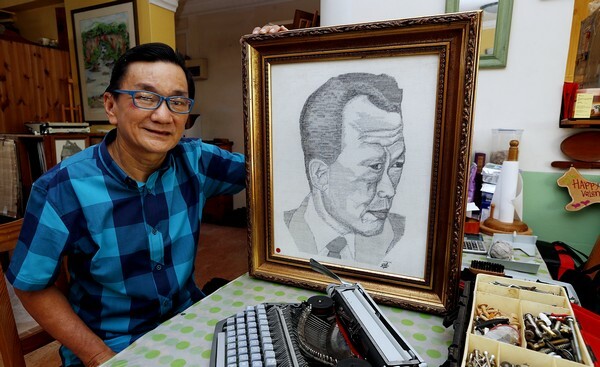 Artist Ricky Goh posing with his painting of Mr Lee Kuan Yew. 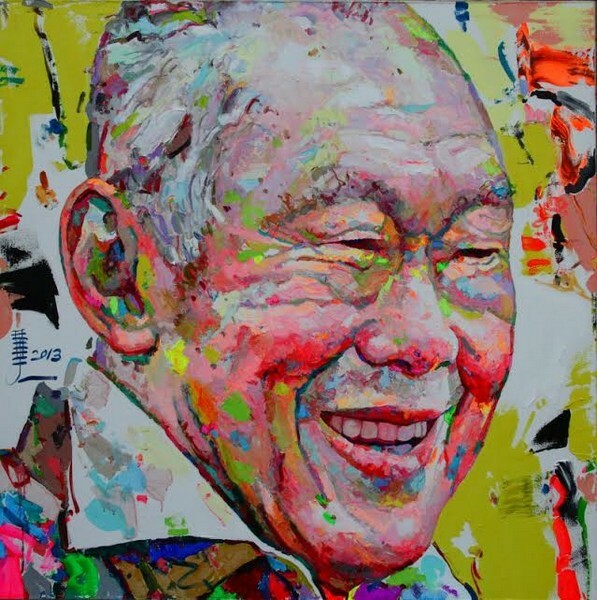 Singapore art collector Vincent Chua will launch an art exhibition featuring 300 paintings, including nearly 80 portraits of Mr Lee Kuan Yew. 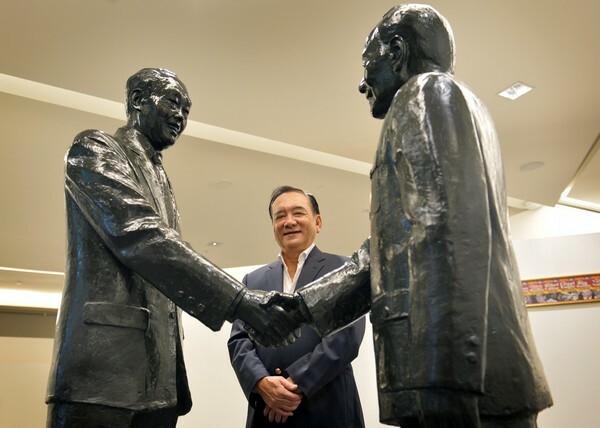 Mr Vincent Chua with a sculpture of Lee Kuan Yew and Deng Xiaoping. Across the corridor from my room hangs a large portrait of Mama,her hair completely white. But that gentle smile that lit her face is how I remember her in life. 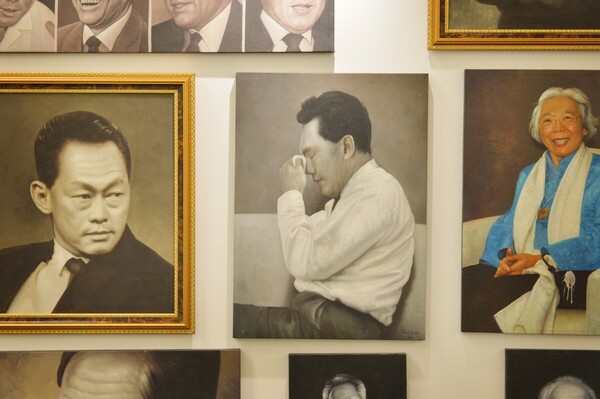 The portrait now reminds me that there is no longer any need to check on Papa. They are both gone. But I don't cry - that achieves nothing. I start my exercise. I had an operation on my foot to correct a deformity in early May. So, for the first few weeks, exercise consisted of going up and down the corridor on crutches, followed by binding a 2kg weight on the ankle of the operated foot and moving the leg in the way that I would have to do to walk and run. I have since graduated to limping swiftly up and down the corridor. The only tears I have shed fell the first few times I re-read the newspaper coverage of the lying-in-state and the funeral. But the pain is lessened by the unexpected outpouring of sorrow by so many people, their mutual kindness and consideration while queuing for up to 10 hours through the day and night, the generosity of people and companies in giving out food, drinks, umbrellas and flowers to fellow humans queuing to pay those last respects or waiting in torrential rain for the gun carriage carrying Papa to UCC to pass by. To all who have expressed concern for me, my thanks to you. There is one post that stands out. The writer was one Ajoy Kumar, who wrote: "Extraordinary person like her father. She mentions the names of each of the people and thanked them individually. I salute and respect her." My parents and I believe goodwill goes both ways. And so, for this 50th National Day, and the National Day Parade, the first from which my father will be absent, I offer my thanks to those who tended to my father and for all the good wishes that I have received. 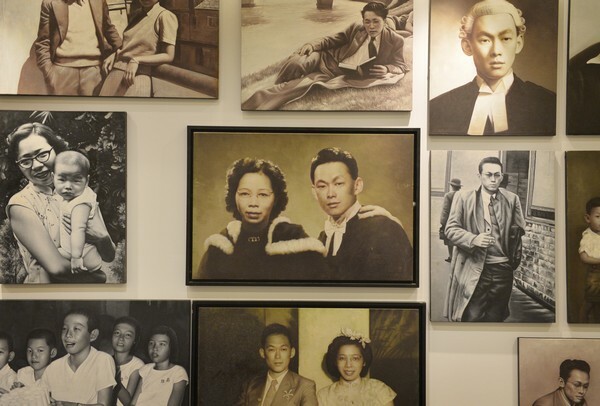 This grateful daughter and caregiver couldn't have asked for more from fellow Singaporeans. This article was first published on Aug 9, 2015.